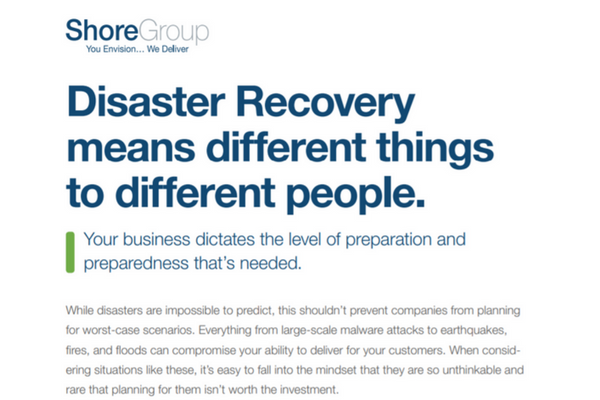 Download our Disaster Recovery datasheet to learn more. Want to learn how to set up a disaster recovery plan? Read our whitepaper to learn best practices for creating a DR plan.